Shortly after Patrick Barkey was named director of the Bureau of Business and Economic Research at the University of Montana, he began producing a podcast focused on one of his life’s passions – economics. For the third year running, the resulting “Montana Economic Minute” was named among the Top 25 Best Economic Podcasts in the country by the Intelligent Economist. Barkey produces the “Montana Economic Minute” each business day. The episodes play across the state on various radio stations and focus on local and national economic issues, from taxes and tourism to business and real estate. The ideas aren’t hard to come by, Barkey said. “The bureau’s talented economists are at the top of their field and so provide shrewd coverage of financial data – economic forecasts for both Montana and the whole country,” the Intelligent Economist said of the Montana program. 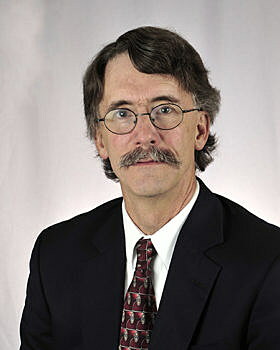 Barkey began producing the program eight years ago, shortly after he became director of BBER, a research center based at UM. He wrote an economic column for a newspaper prior to that, and saw the podcast as a novel way to reach a wider audience. Barkey said the approach enables the research center to broach a wider range of issues.